The Honda S800 was a superb showcase of the Japanese marques engineering capabilities when it was launched at the Tokyo Motor Show in 1965. 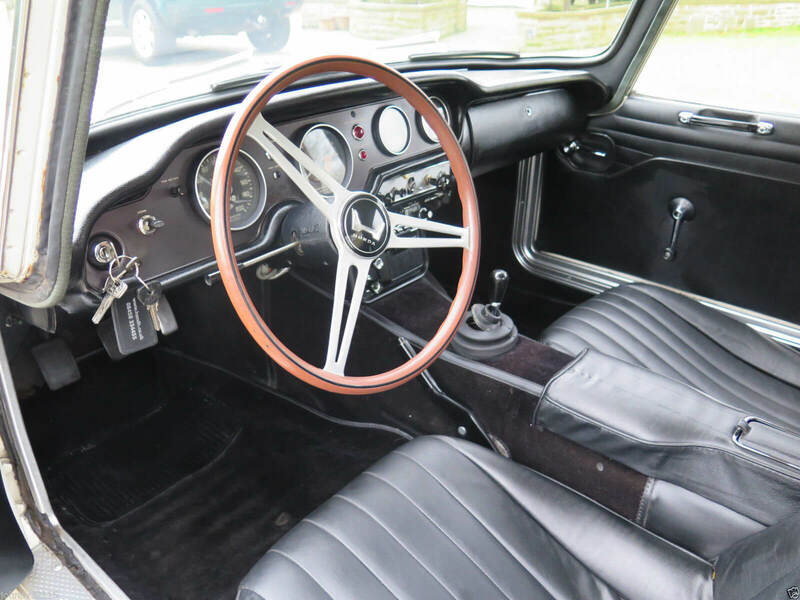 Offered in coupe and convertible forms, it had a tiny four cylinder twin cam 791cc engine which produced an impressive 70BHP and was capable of revving up to 11,000 rpm. Honda’s engine was a technical marvel and showed how it was possible to achieve both power and excellent fuel economy (up to 35 mpg) from a small unit. The strict Japanese Kei-Class rules on both car and engine size played a large part in its overall design and concept of the Honda S800. Mr Honda himself recognised the need for a sports car in the small car, tax free sector. This led to the S600 in 1964 which evolved into the S800. Early cars were unique in having a chain driven drive shaft linked to an independent rear suspension but this proved expensive to build. Later models utilised a cheaper live axle instead. Front disc brakes were also added replacing the previous drum brake arrangement. Despite it technological advancements, the S800 did not sell in large numbers and by the time production ended in 1970, over 11,000 were produced. 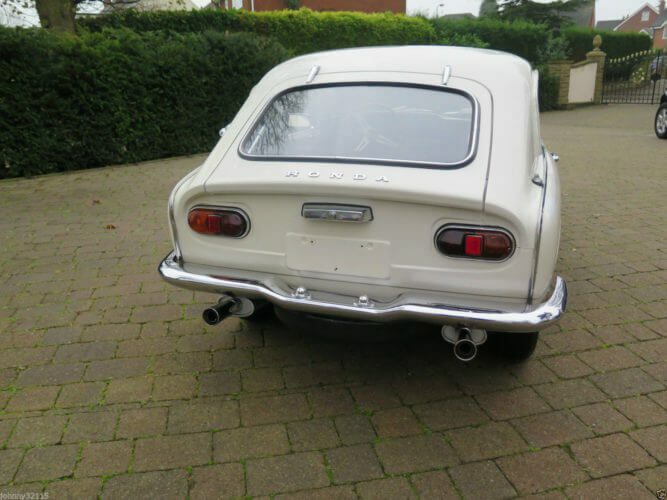 The Honda S800 on offer is a 1969 Mk2 Coupe finished in white with a black interior. 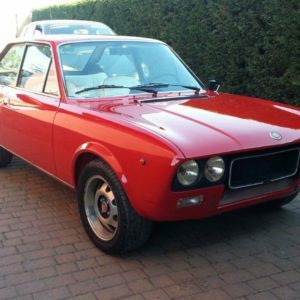 Said to be a recent import from Italy, it has recently passed its MOT but is not yet UK registered. It has covered 27,000km and is said to run well though the seller states that it struggles a little when cold. They also note the paint has some stone chips which have been touched up. The S800 is just cool. Its almost a mini Toyota 2000 GT. It has a very distinctive front end. The later Civic would share some of its characteristics. Just look at those twin exhausts! They look great! The interior looks very good with the exception of the gear stick rubber which has split. The drivers door rubber looks a little tired as well. A practical boot, for weekend bags really. its amazing how much power Honda's engineers were able to get out of this unit in the 1960s. Impressive stuff! Of all the compact cars to come from Japan in the 1960s, the Honda S800 is one of the cutest and one of our favourites. Its engine really was a technological marvel and put most other manufacturers to shame. With its ability to rev beyond the 10,000 rpm range, previously unheard of in production cars, it cemented Honda’s reputation for building small, high revving engines. At a glance they look like a mini Triumph GT6, which is the market Honda were aiming at. This particular S800 looks to be in very good condition. The white paint looks clean and the chrome is bright and shiny. 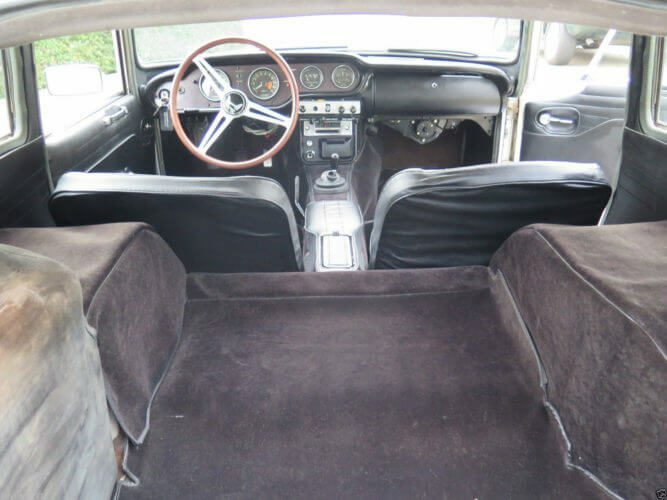 The interior presents itself very well and we suspect it has had a retrim in the past, judging by the condition of the seats and the door cards. 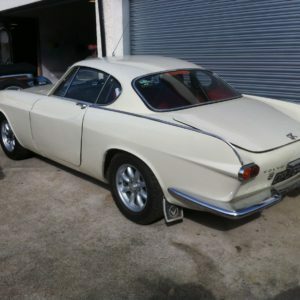 Like with the E-Type, the rear hatch gives access to the boot which provides much needed storage. The engine bay is tidy and presentable and we love the sight of those four side draft carbs. They really highlight the power this little beauty has. The twin exhausts are also a statement in itself and along with the little power bulge on the bonnet, give this little coupe a muscular look. With those exhausts it must sound pretty epic when revving all the way to 10,000 rpm. Apparently this can get quite addictive and we can understand why. We suspect the cars poor running is down to the carbs needing a little tune up or a service. 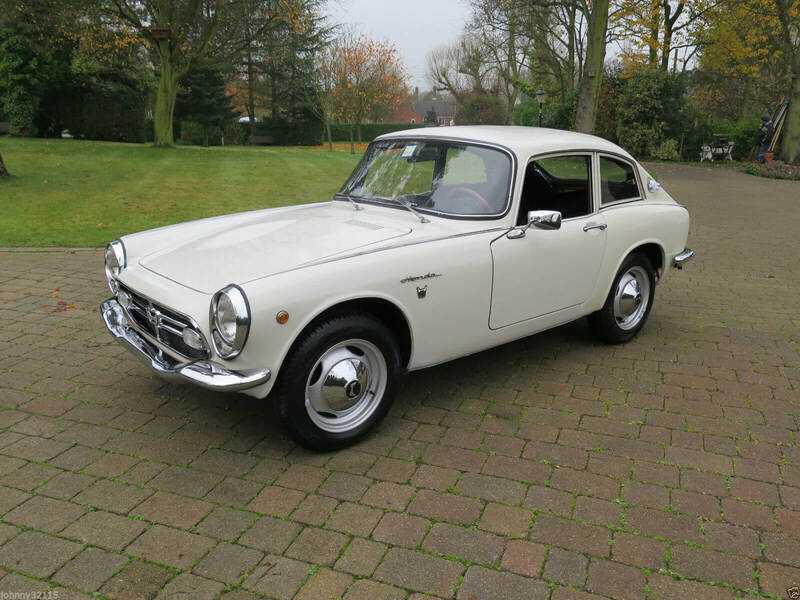 This little Honda S800 looks like a great example and with some fettling, a little detailing and the relevant paperwork, it should be on the road in no time. As always with 1960s Japanese cars, one will need to check for rust. Assuming its all good we think it could be a great buy. We’ve always loved the lines of the S800, especially in coupe form. Its got character and attitude and will out rev most cars it comes up against. This one is definitely worth a look. 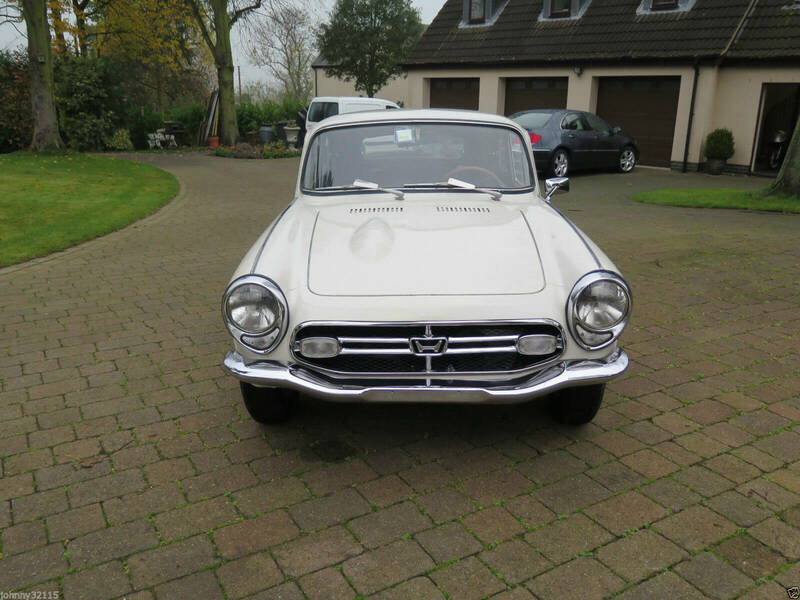 This Honda S800 is located in Coalville Leicestershire and has a Buy it Now Price of £10,995 which is open to offers. 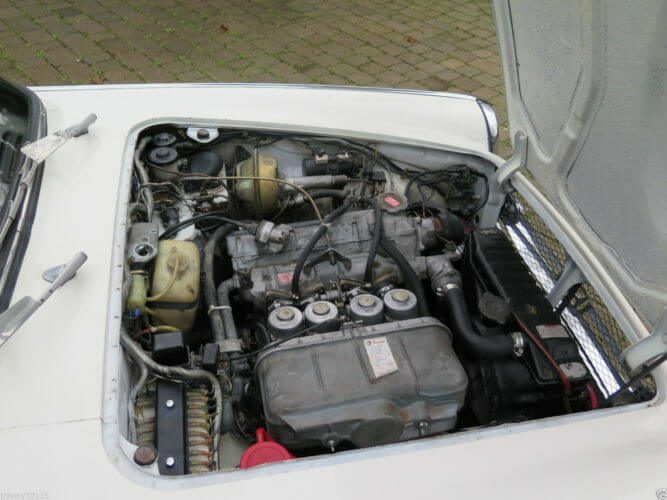 The seller has also provided some Youtube clips of the car running which are found on the eBay listing.